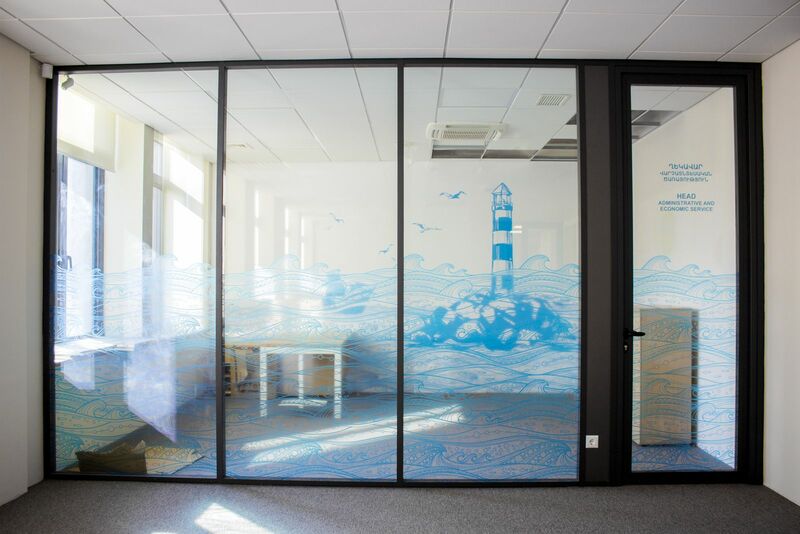 A clear window glass door decoration for an office. 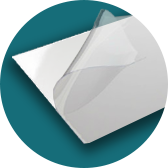 The used material is clear vinyl sticker and the printing has been made directly on it. This is a classy example how it is possible to keep privacy and meanwhile create an interesting atmosphere.